When an emergency knocks you off track or when you need to seize a financial opportunity before it’s too late, you can be faced with the risk of making a poor decision. Whether it’s ill-informed or whether you’ve not taken the time to consider the risk carefully – this happens more often than you think –, poor financial agreements can have a lasting impact on your wealth, your lifestyle and your health. In fact, even the most careful of buyers and investors occasionally burn a few feathers in agreements that don’t have their best interests at heart. You might think that you always keep your thinking hat on, but situations can arise unexpectedly and throw you off balance before you’ve got time to react. How do you best recognize a potential threat to your finances? The truth is that you need to have already fallen into the traps of an adverse financial agreement to know what to expect. However, there are plenty of occurrences and financial issues that make the news regularly enough to establish a list of the potential risks to look out for. The first lesson you want to remember when navigating difficult financial decisions is that not every financial partner – whether it’s a retailer or a lender – is interested in making an agreement to your benefit. While it doesn’t mean that they will always be trying to take advantage of you, it still means that they may not come with the best solution for your situation. In other words, keep your eyes open before you agree to anything! Car title loans are hugely popular with a population that is not in a position to create an emergency fund – or to build up their savings towards future financial plans. With 55 million Americans who have nothing saved at all – and many who have less than $1,000 in their emergency piggy bank – it’s fair to say that when a situation occurs that requires quick and substantial payment, many households are left unable to comply. That’s precisely where lenders have developed new products to provide short-term solutions without the necessary credit check. Ultimately, a car title loan is a loan in exchange for the title of your vehicle – as well as an administrative fee. The title acts as collateral, meaning that if you can’t pay, the lender will take your vehicle. 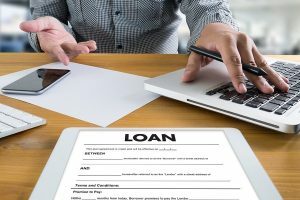 Unfortunately, these short-term agreements come with high risks, as the lender tends to charge high APRs – 300% or more, meaning that it’s unlikely for low-income households to be able to pay back. You could lose your car, and that’s because these loans are so high-risk that they’re considered illegal in 25 states. In other words, while being popular, a backyard car title loan agreement might, firstly, be unlawful, and secondly, leave you deeper in debt. Picture the scene. You parked your car in front of the grocery shop store, and you come back noticing that the vehicle has been hit by a truck. Of course, you’re at a loss! For a start, if the car has been seriously damaged, you may not even be able to use it – let alone save it – at all. Secondly, if you’re not familiar with truck accident procedures, the company that owns the truck might try to blame you for the incident. It’s essential that you don’t sign anything that the driver gives you on the site of the accident. Instead, you should document the event – and take pictures if you can –, and look for witnesses if possible. If someone has been injured in the accident, you need to get in touch with the relevant authorities to get assistance. So you’ve been looking for a last-minute present to buy to your niece for her birthday. But even though you’ve found the toy she wants on a handful of websites, only one offers it at a low price that beats the competition. Needless to look any further, you’ll order it from this online retailer. Except that in your excitement of finding a good deal, you fail to notice that the site doesn’t have an SSL certificate. SSL certificates – or the little padlock that appears in the URL bar – mean that the site is secure. Ultimately, some browser extensions notify you if a website is not secure – Chrome extension is popular for its notifications. But what this implies is that the data you share on the site are not encrypted and sealed – they are directly available to hackers. Consequently, you need to look for the padlock and the HTTPS indications when you’re about to enter confidential information such as your address, credit card number, and email address. Even if you’re confident that your banking data won’t be used without you noticing, your identity might be stolen for other purposes. 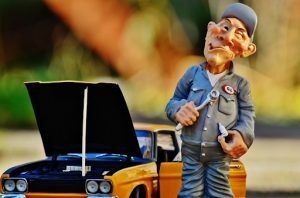 You don’t know everything, that’s precisely why you rely on professionals to help you sort out issues from repairing your car to improving your health. Most professionals provide honest service, but from time to time you come across someone who is trying to make the most of your lack of expertise. It can be difficult to identify a dishonest professional when you lack knowledge. But, thankfully, there are some helpful signs you can rely on to make the difference between those you can trust and those you can’t. Mechanics, for instance, have a bad reputation that isn’t justified – cars are, after all, expensive to fix. But if your mechanic won’t show you the old parts that have been supposedly changed, you can be suspicious about the bill. Ah, emergency loans. Everybody hates them, but when you’re in a tight situation, they can help you to make ends meet – assuming you read the small prints carefully. Indeed, emergency loans often come at a high price: You’ll be looking at colossal APRs to repay over a short period. Most lenders know that they should share the information with you as soon as possible – a.k.a. Before you sign the loan agreement. Indeed issues in APR notifications, the acquisition of informative consent and unrealistic payment terms can give you the opportunity to make a legal complaint. Legal complaints have driven Wonga, the short-term loan company, to collapse in the UK. Clients expected compensations have been put on the list of creditors. Additionally, the legal pursuits have helped to protect millions of borrowers from nasty consequences. But, ultimately, when there’s nobody else to protect your rights, you need to make sure you’ve read the small prints before agreeing. In June of this year, Ticketmaster announced to its British customers that it’d been the victim of a data breach. Within a few days, 5% of the British customers – those who have been potentially targeted by the breach – were informed of the issue and advised to check their bank account for suspicious activities. At first, it seemed that the giant ticket selling company was quick to react. But in reality, as customers found out soon later, the breach had been suspected since April. And it wasn’t even noticed by Ticketmaster but by an online banking institution, Monzo, who immediately alerted Ticketmaster. Ticketmaster rejected Monzo’s conclusion and intentionally left customers in the dark about the breach for several months. For customers who have been exposed for months, the worry is real. With hackers always on the look for new strategies, you need to stay with retailers you can trust. Ticketmaster, as it appears, is not one of them for the public. 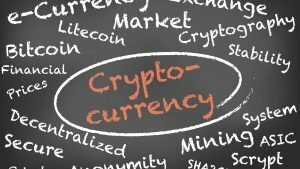 Cryptocurrency is the hottest trend when it comes to investments. But for a newcomer to the world of investment, cryptocurrency is not a good starting point, regardless of what successful advisors tell you. Indeed, cryptocurrency brings an ever-growing list of worries. In the stock market, investors can rely on balance sheets, income statements, and management commentary to make their decisions. But cryptocurrency doesn’t deliver any of the traditional metrics of analysis. Additionally, you never own any asset in crypto trading. You buy digital tokens which don’t give you any right on the underlying blockchain. Whether you’re moving in with your partner or you’re trying to help your elderly relative to manage their money, opening a joint bank account offers the advantage of putting you in charge when you need it. Unfortunately, while you gain access to the account, you also share liabilities. If the other account owner gets in financial troubles and accumulates debt, you are also responsible for clearing those debts out – if they were generated using the joint account. One single owner might also have to cover the tax bill for the interest earned, even though everyone with account access would benefit from it. The financial decisions you make every day can have a long-lasting effect on your lifestyle, wealth and overall mental health – it’s stressful to deal with debts! Consequently, it’s essential to make sure that you understand what you agree to and what the potential risks are. Sometimes, you’ll be surprised to find that there are cost-effective alternatives too!